Most people think of a Nebula as science fiction jibber- jabber – abstract cosmic bodies residing somewhere beyond “warp drive”. Not only are Nebula tangible, we can see one with our very own eyes. Nebula, refers to vast bodies or clusters of interstellar gas – often referred to as “star nurseries”. Our galaxy has countless Nebula – the Orion Nebula being unique, as it can be seen with the naked eye. 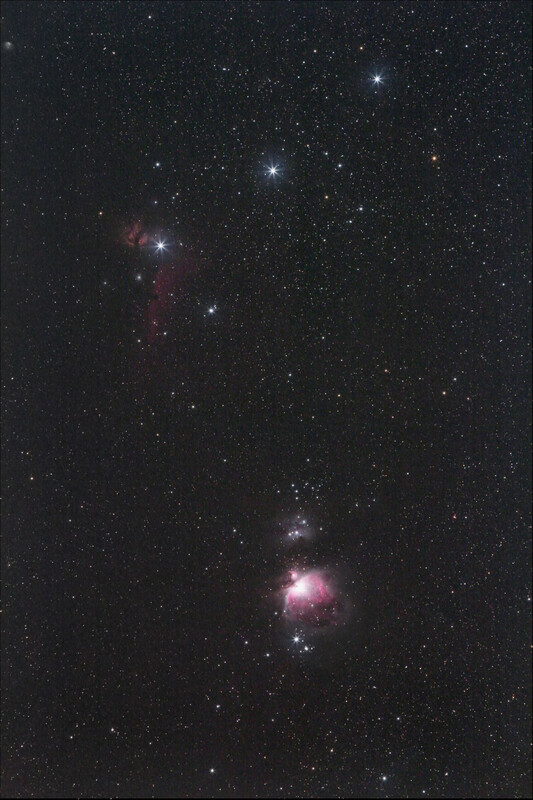 Find constellation Orion – the Orion Nebula requires nothing more than clear skies away from city lights. Locate the iconic “belt” comprised of 3 distinctive stars. If you’re in a dark enough location, you might be able to make out a curved line of stars descending from the belt, this is Orion’s sword. The Orion Nebula appears as a “star encased in fog” , mid-way down the curve. 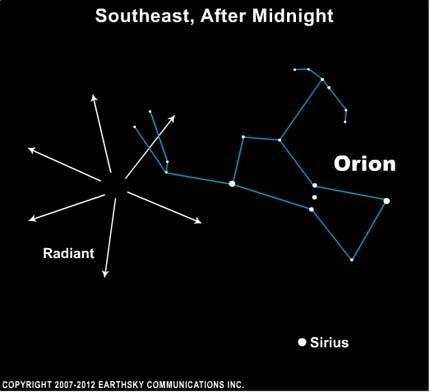 If you can’t find the sword – find Rigel, a bright star below and slightly right of Orion’s belt. 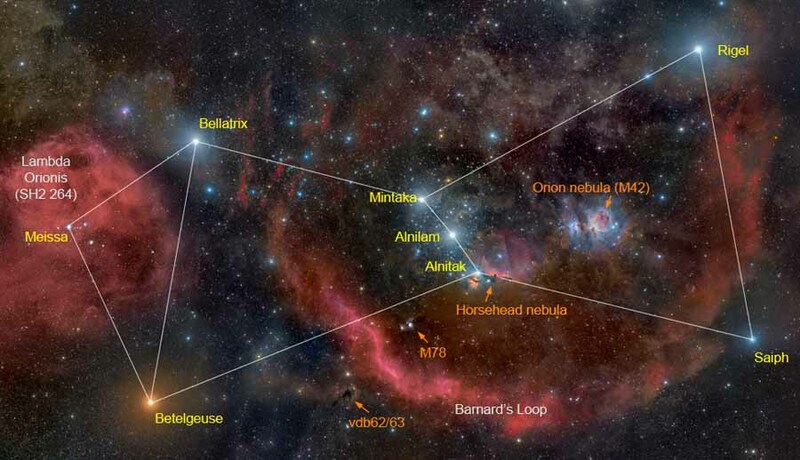 Orion’s Nebula is between Rigel and the center of the belt. Once you find it – you’re looking at something 30-40 light years across and 1,300 light years from Earth. Ponder that enormity and smile.